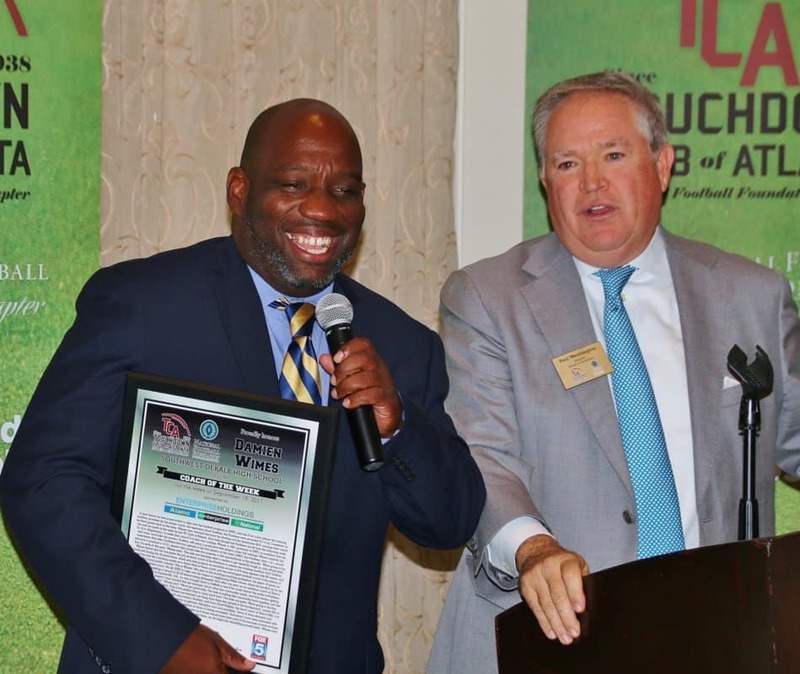 the week by the TD Club of Atlanta. And even though the Panthers would lose the following week 31-18 to Stephenson, to make their record 2-2 after four outings, Wimes, a 1991 graduate of SWD, is confident that his first team, much like his mentor, Godfrey, will enjoy a productive first season under his tutelage. Wimes reminds his interviewer that after Godfrey’s first four games in his first season at the helm (1983), the Panthers, then 1-2-1, would rebound to produce a 10-3-1 season that would take the program to the quarterfinals in the playoffs. back to DeKalb to see if he could restore the pride in Panthers football again. If Wimes has learned one thing from three key people in his background, current AD at SWD, Kathy Walton, his former coach and mentor, Godfrey, and from Chad Phillips, the head coach at Starr’s Mill, it is the importance of three things: mental toughness, discipline and accountability. “Each of them stressed and emphasized the importance of those three aspects in terms of being successful. And since I have been entrusted with the responsibility of rebuilding this program, and seen how those values have been part of the success of each of those mentors of mine, you can be certain that I, too, will employ them, as we begin the rebuilding process here,” Wimes said.